The double-dating perhaps means that the work was intended for engraving, the date 1762 being that of the original design. 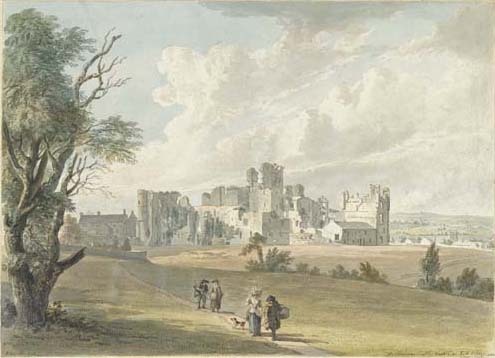 A closer view of the Castle after Sandby, by F. Woodyer was published in September 1780. Middleham Castle was started as a keep in the 1170s and then added to in successive centuries. It took over the defence of Coverdale and the road from Richmond to Skipton from an earth works near by. The keep is one of the largest in the country.